Paper or plastic? Well, plastic makes it easy to shop — and with our low rate, easy to save. Ask for the Service 1 FCU credit card today. 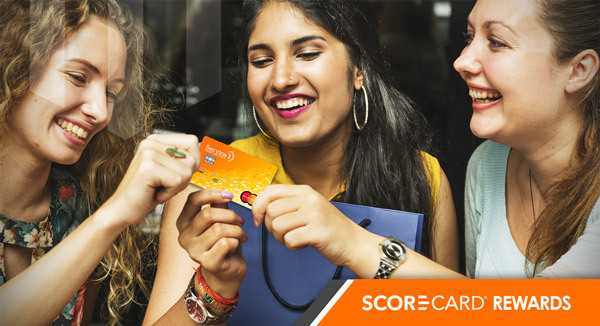 Score BIG with rewards when you carry the Service 1 FCU credit card! Earn points with every new purchase, redeemable for free merchandise, travel, gift cards—even cash back! Purchasing power across the globe, in stores and online—use your card for everyday expenses like gas and groceries, plus monthly bill payments and more! To activate your Service 1 FCU credit card, call 800-543-5073. If you have questions, please email msr@service1fcu.com. A secured credit card is different from regular credit cards in that you put the amount the credit card is worth in your Service 1 FCU savings account, and it is used as collateral for the purchases you’re making using the card. You’re able to safely and securely start establishing or rebuilding your credit score. If you’ve run into financial difficulty that resulted in damaged credit, you might find it hard to obtain new credit. Past money mistakes can be nearly impossible to move past at times. With a secured credit card from Service 1 FCU, you can begin to rebuild your credit. If you're just starting out, a secured credit card can help you establish your credit. Contact us for more details on how you can get started establishing or rebuilding your credit with a secured Service 1 FCU credit card! *APR=Annual Percentage Rate. Rates and terms are subject to change. Subject to credit approval. Membership eligibility required. Contact Service 1 Federal Credit Union for details. **There are no fees for cash advances from your S1FCU credit card. Take an advance at any Mastercard® ATM or financial institution displaying the Mastercard® logo. There is no grace period for cash advances. Interest is charged from the date of the transaction. Mastercard® advances may be subject to a third party fee.